Surprise your enemies with a double-edged assault with the Twin Blade Ninja Sword. Like one blade split into two, each sword has half a hilt and half handle that that can be combined into one sword with two blades. 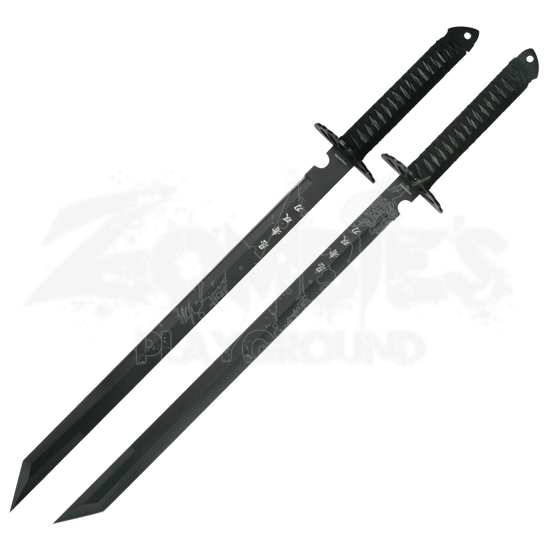 Made from stainless steel, the sword is all black with a black nylon wrapped handle for superior grip. Japanese characters adorn each blade, and the nylon shoulder strap keeps them together until it is time for them to be drawn. 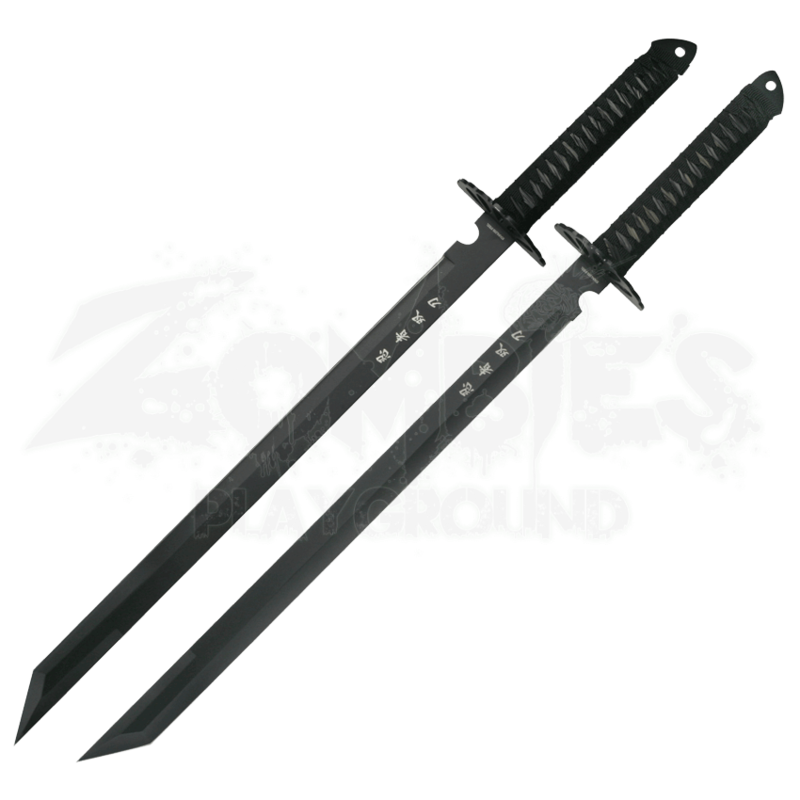 Get the Twin Blade Ninja Sword today and get a deadly set of twins of your own.